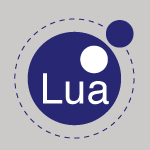 In todays video you will learn Lua in one video. I’ll cover Data Types, Math, Conditionals, Strings, Looping, Repeat Until, getting user input, For, For In, Tables, Functions, returning multiple values, Variadic Functions, Closures, Coroutines, File I/O, Modules, Metatables, OOP, Inheritance and a lot more. -- This is a string and it can be surrounded by ' or "
-- Combine Strings with ..
quote = "I changed my password everywhere to 'incorrect.' That way when I forget it,it always reminds me, 'Your password is incorrect.'" -- Tables take the place of arrays, dictionaries, tuples, etc.